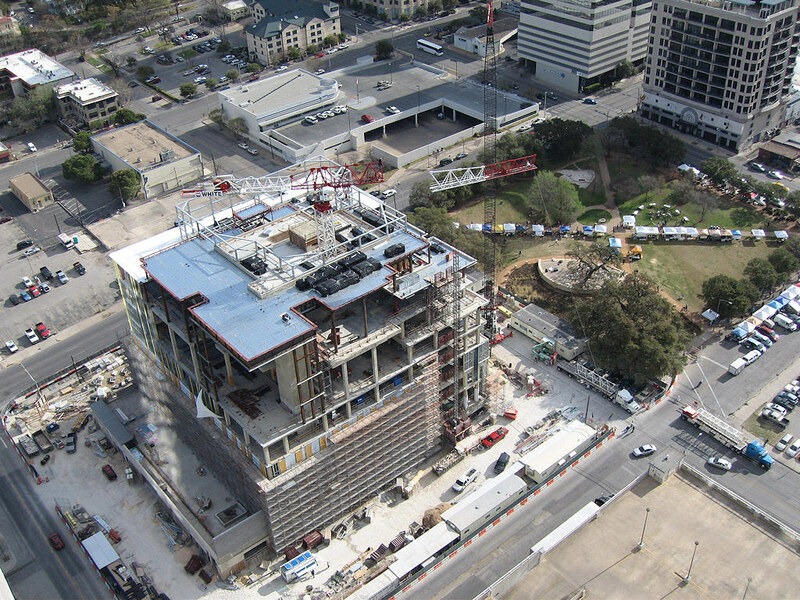 From a stage erected on a block of San Antonio Street downtown that will now be permanently closed to vehicles, a string of dignitaries paid tribute to the ideals of justice, to Austin and to jump-starting the local economy at a groundbreaking ceremony for Austin’s new federal courthouse Wednesday. 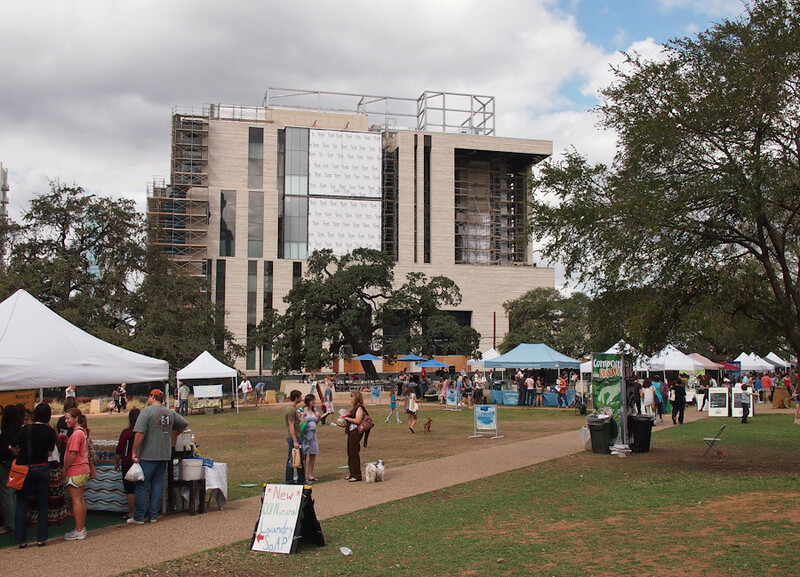 The $116 million building was funded this year under the American Recovery and Reinvestment Act. 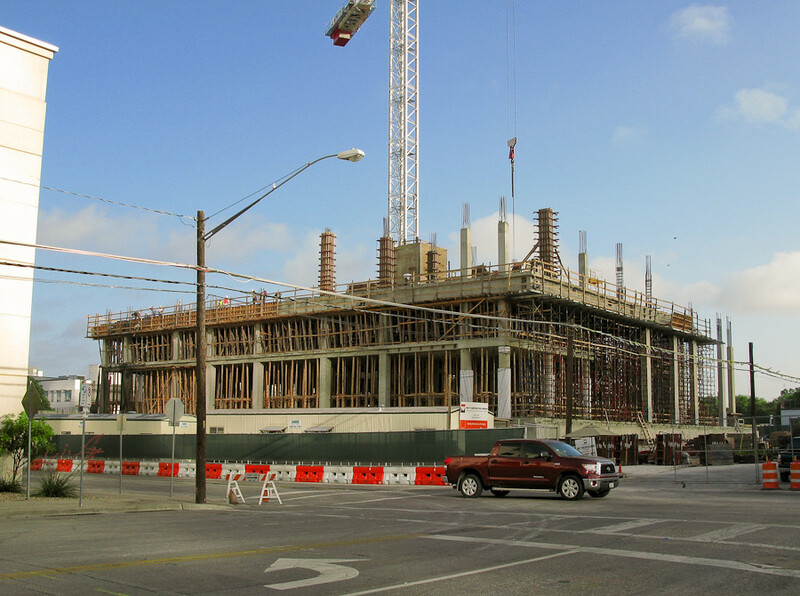 The eight-story building will house the federal district and magistrate courts that are currently in the historic U.S. Courthouse on West Eighth Street. Other federal support agencies that do not fit in the historic building, such as the probation department, also will move into the new building. Construction is expected to begin this month and be completed in three years. I've never seen grass that green and full in Austin. They must be planning artificial turf. 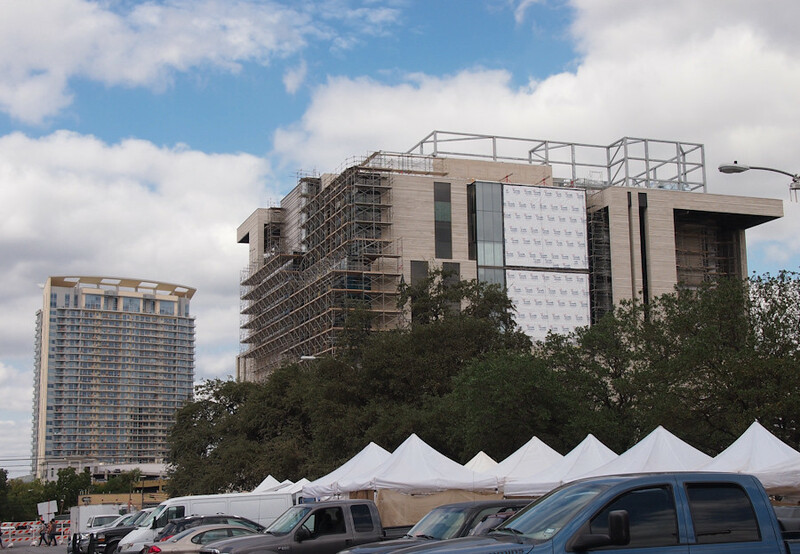 From a stage erected on a block of San Antonio Street downtown that will now be closed permanently to vehicles, a string of dignitaries paid tribute Wednesday to the ideals of justice, to Austin and to jump-starting the local economy at a groundbreaking ceremony for the city's new federal courthouse. 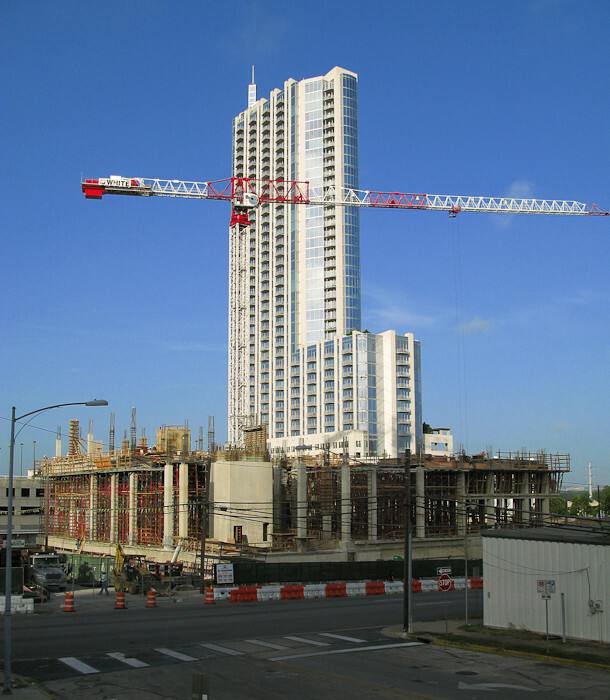 The more than $100 million building was funded this year under the American Recovery and Reinvestment Act. 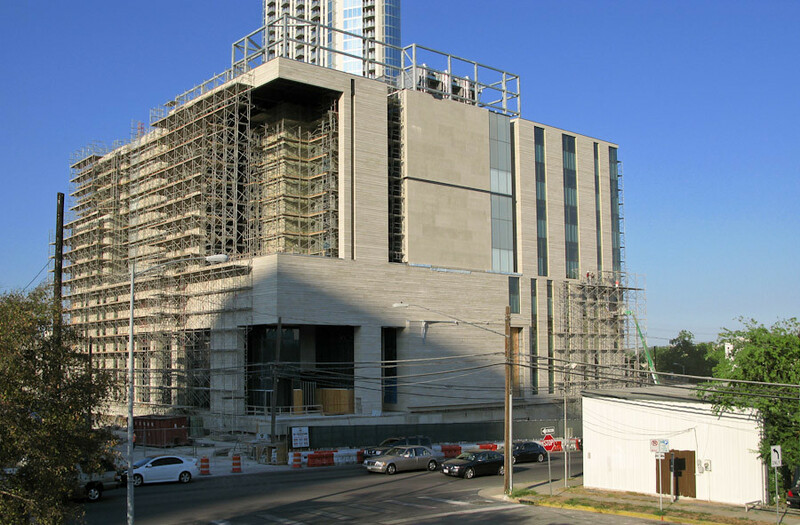 The eight-story building will house the federal district and magistrate courts that are currently in the U.S. Courthouse on West Eighth Street. Other federal support agencies that do not fit in that historical building, such as the probation department, also will move into the new building. Yeakel said that planning for the new courthouse began more than eight years ago. 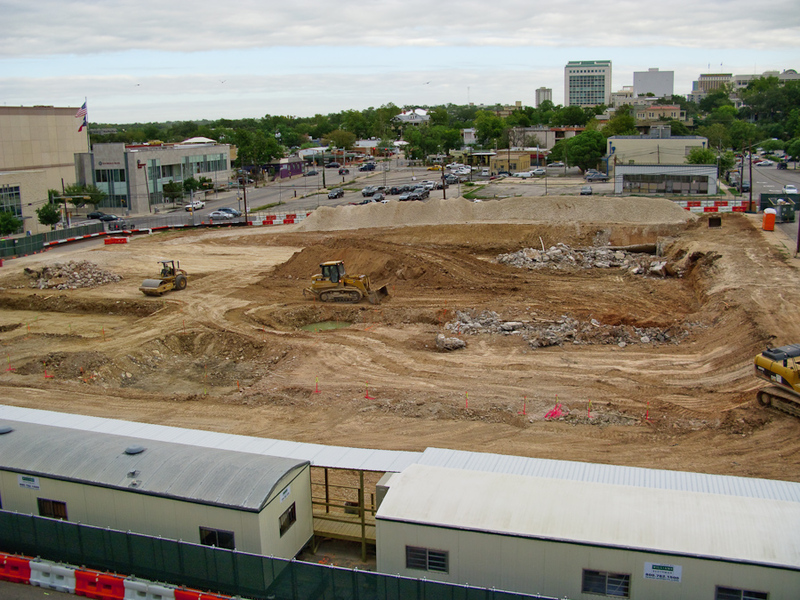 In 2002, federal officials caused a stir when they said they were considering three downtown lots for the building, including the site of the Austin Children's Museum and a lot planned to house a new Austin Museum of Art building. Local officials and public outcry eventually steered them to the lot across from Republic Square Park where the unfinished Intel Corp. building stood as a reminder of the technology bust. 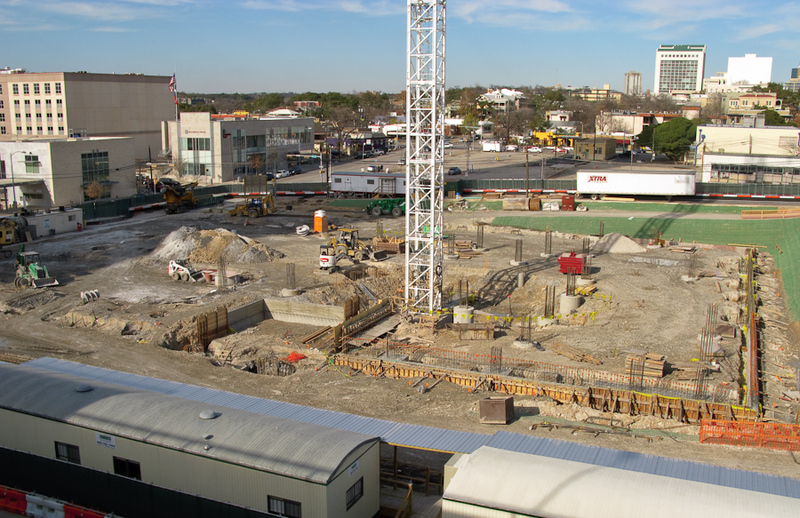 In 2003, $13.8 million was approved for site acquisition and planning. 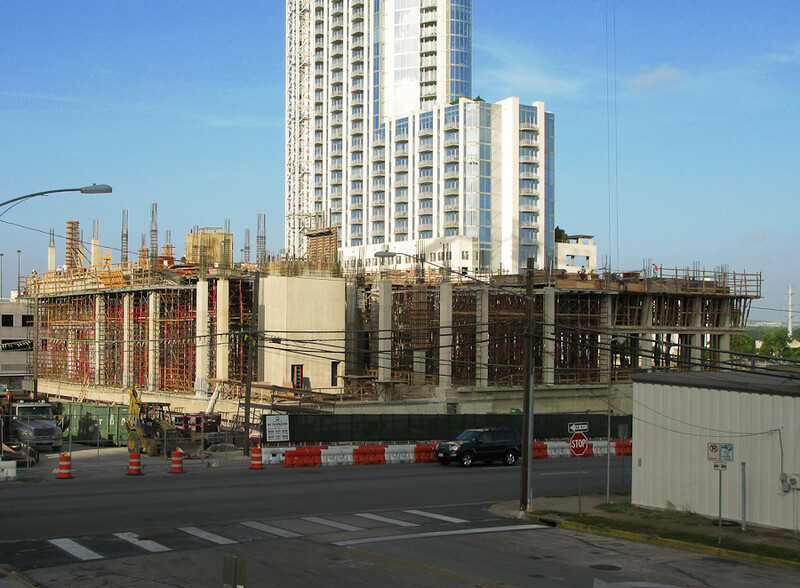 Officials had hoped construction would begin in 2005, but funding for construction never came. 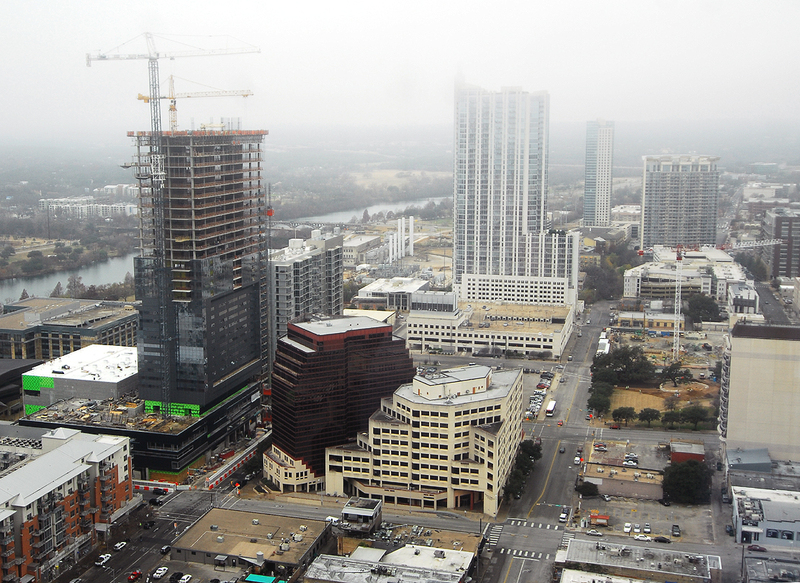 That year, though, the federal budget included $3 million toward demolition and site preparation, and in February 2007, Austin celebrated the downing of what had become known as the "Intel shell." 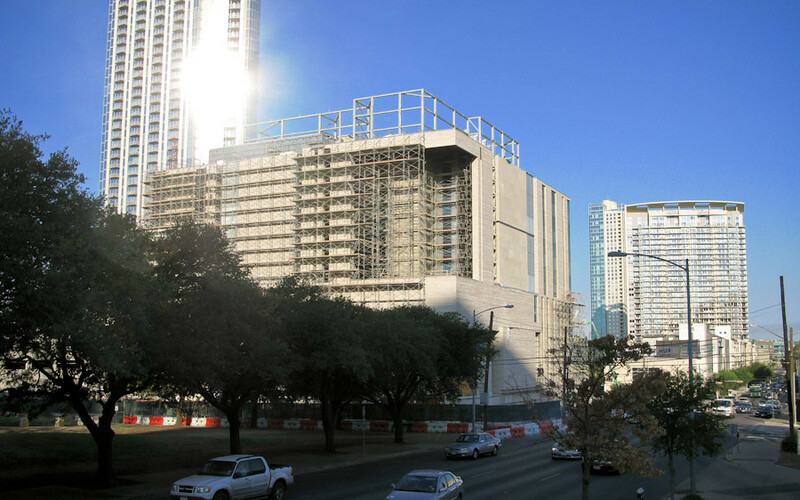 To the dismay of local federal judges who continued to work on planning the building while managing their dockets, funding never came in 2008 — or this year. 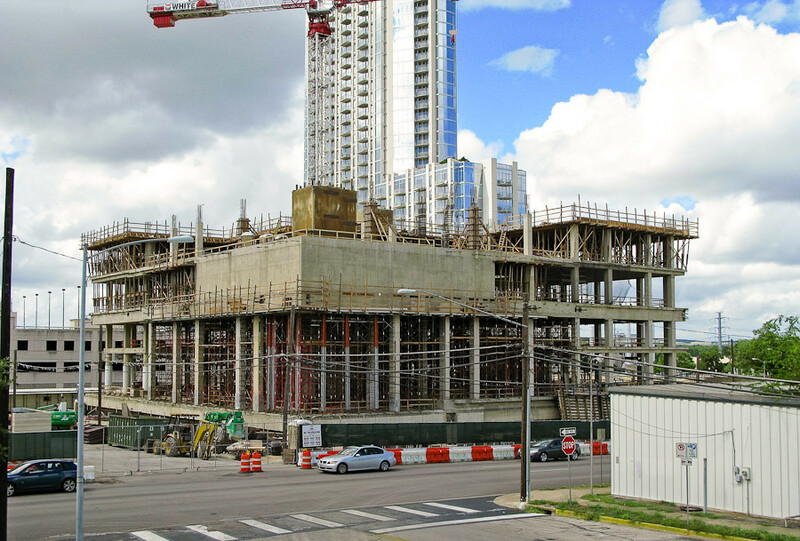 But when the economy plummeted and federal officials began asking for "shovel ready projects" to add to an economic stimulus package pushed by President Barack Obama, local officials pointed to the Austin project. In late March, the White House approved using federal stimulus money to pay for the courthouse. In July, officials inked a $102 million contract with general contractor White Construction, which has offices in Mississippi and Austin. 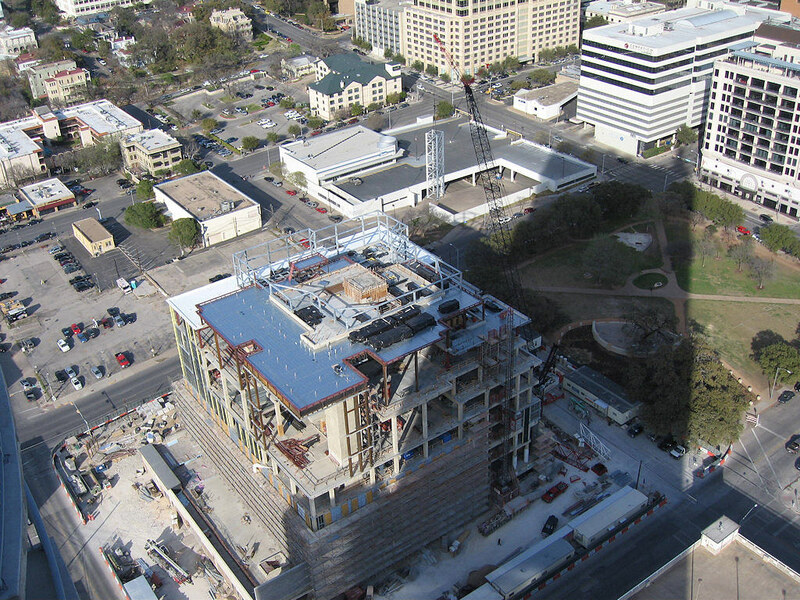 White recently built the Dell Children's Medical Center of Central Texas. The eight-story, 252,420-square-foot building will be energy-efficient, making extensive use of natural light and capturing rainwater for irrigation. 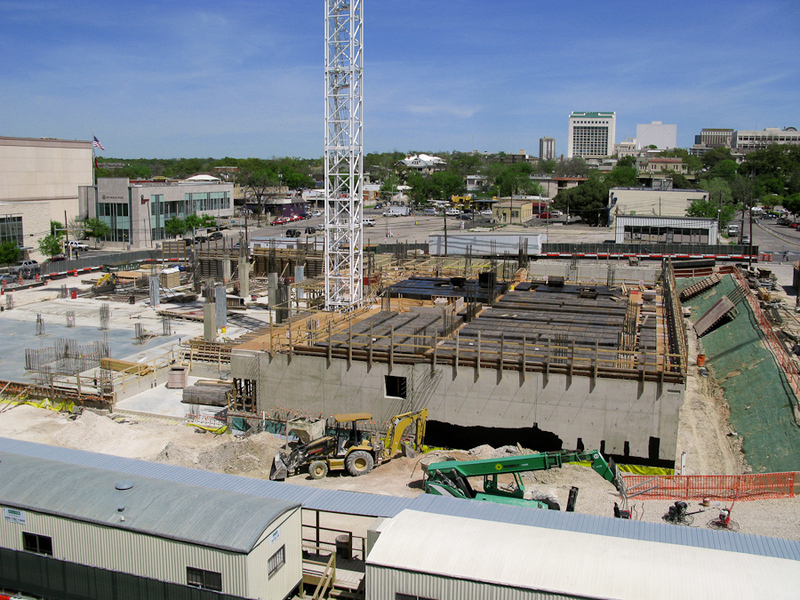 It will have eight courtrooms and chambers for 10 judges. 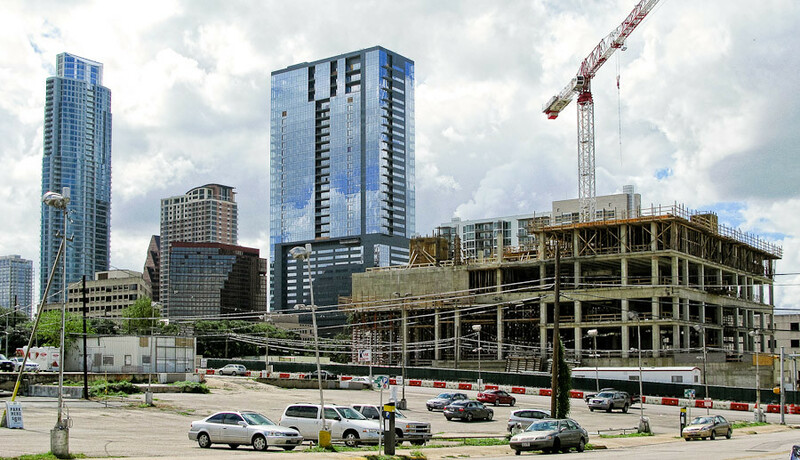 If the new Austin building comes out half as nice, it will be an asset to the city. Channeling Rafael Moneo much, are we? I'm not against this style in general, but when I think of a courthouse, this is not what I think of...of course. I guess it just seems too trendy. A court should not be a place of trends. A court should not be a place of trends. I don't think you can find a courthouse design that's not affected by trends. What's your opinion on the historic Art Deco courthouse in Jefferson County? It's clearly a late 20s/early 30s trend design. Maybe you're right. Maybe what I'm thinking is it lacks uniformity. Interesting topic. 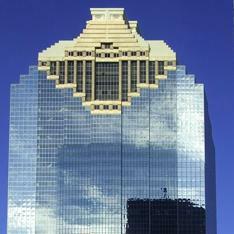 Buildings are expected to reflect the function for which they were built, often by reference to traditional forms. Yet, an attempt to recreate a modernized version of the traditional 19th century Texas courthouse would be ludicrous. The same standard applies to houses of worship; and many modern interpretations (especially in the 1960s) were thought to lack a 'spiritual' component. A courthouse should be a place of solidarity and dignity, regardless of its architectural style. I see lockmat's point; this building just doesn't seem massive ('heavy') enough to be instantly recognizable as a courthouse. It used to be that banks were intentially designed to resemble ancient Greek and Roman architecture, so they would project a sense of stability and security. Then we started getting banks designed to look like trendy Ikea boxes. Then the banks crumbled like so much particleboard. In Rochester, NY there was a bank called Security Trust; their motto was "Look Forward with Security! ", which was painted in huge letters on the side of their brick 19th century building. Seemed rather ironic during the demolition of the building; wish I'd taken a photo.